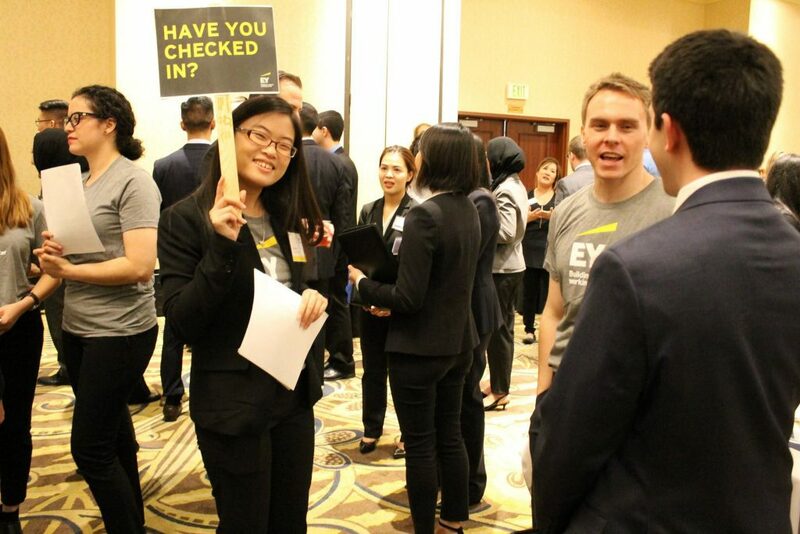 Gloria Chu works as a staff/assistant auditor at EY (formerly Ernst & Young). She graduated from Mihaylo College in spring 2017 with a concentration in accounting. Anyone will tell you that when it comes to landing a full-time job after graduation, it is important to stand out. 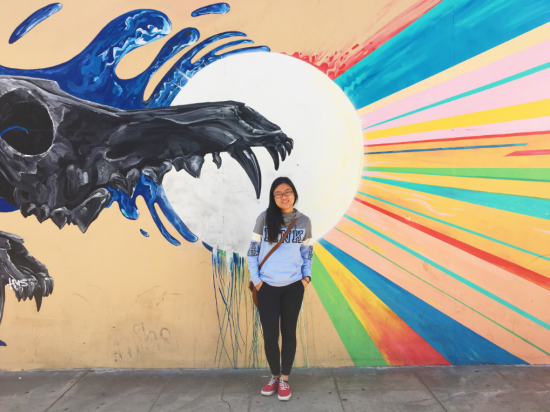 During her time at Mihaylo College, Gloria Chu ’17 (accounting) did just that. She was certainly busy. 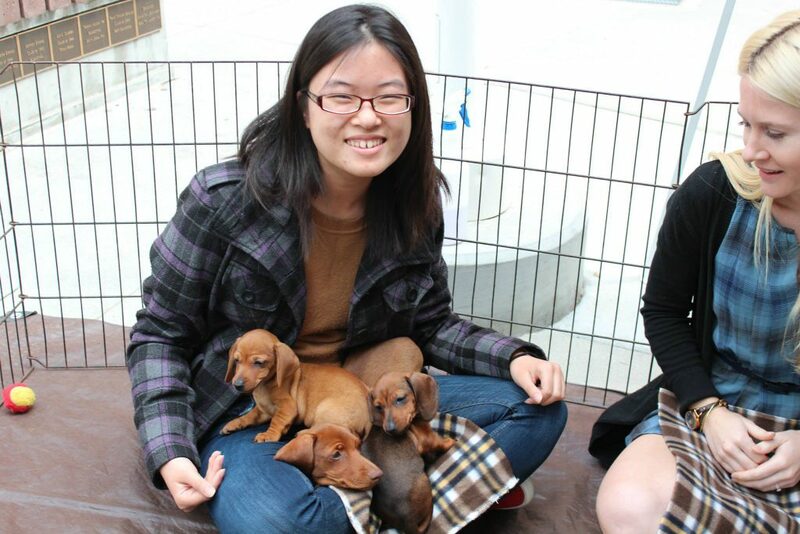 Between keeping up with classes, taking on leadership roles in student clubs and being an on-campus tutor, Chu juggled a lot of responsibilities (and puppies, apparently). Throughout all of that, she was working toward her goal of joining one of the top accounting firms in the world. After graduating, Chu saw her dream become a reality. But the journey wasn’t easy: It took dedication to her classes and grades, commitment to networking and connecting with professionals, and resilience during the recruitment process. 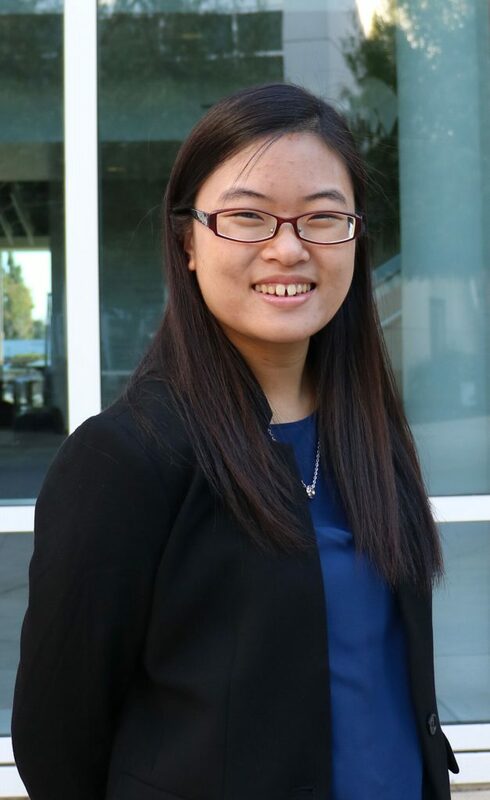 Chu’s hard work and dedication paid off as she successfully navigated the process of recruiting for a Big Four accounting firm. Tell us a little bit about your job and the journey you took to get to where you are now. As of September 2017, I work as a staff/assistant auditor at EY. In its simplest form, I basically assist and help teams complete audits – making sure a company’s financial statements are accurate and fair, their internal controls are operating properly, and assessing their financial operations. There’s a lot more that goes into it, and I wish I could fully explain it, but I’m still learning the whole process of what goes into an audit myself. My journey began in my sophomore year when I first started looking into accounting and all of its opportunities. I successfully recruited in fall 2015, when I received my internship offer, and it’s all been a whirlwind since it happened! Gloria Chu at the Mihaylo College Meet the Firms accounting recruiting event. What’s the typical recruiting process for a Big Four accounting firm? Regardless of whether it’s a Big Four, mid-tier, regional, or local firm, the recruiting process is generally the same for all public accounting firms. Most companies will have internship offers for those who have one summer left until their graduation and full-time offers for those graduating in the upcoming spring semester. Summer leadership programs, or SLPs, are less common among regional and local firms, although many are starting to implement them. These are geared toward sophomores or those who have two summers left until graduation. You can potentially receive an internship offer when you finish attending a firm’s SLP, and you can potentially receive a full-time offer once you finish a company’s internship. Some companies are now also hosting freshman programs for first-years, giving students an additional opportunity to get some insight into the public accounting field. I would say to apply to their programs as soon as you can, because the more exposure you get to a firm and the more networking you do, the better off you are in the recruitment process. Among the options (tax, audit, advisory, etc. ), what specialty within accounting did you choose and why? I chose to pursue audit for many reasons, but mainly because I like the aspect of learning how a company operates and how its respective industry works. The amount of face time I get with clients is also a bonus – almost every day, I get to talk to clients and learn how to adapt to each client’s communication style and do something different. I also love the aspect of travelling for work as well – to be able to work in different environments makes the job a lot more exciting. Just recently, I was in Seattle working for a client. How did you decide between public and private accounting? During my recruiting process, I had the chance to talk to many professionals and campus ambassadors, and from their perspective and their experiences I realized I’d be much happier in public accounting. You learn so much about a business and its industry so quickly, all in such a relatively short amount of time. It’s very fast-paced, but I really enjoy challenging myself and learning as much as I can. I already feel like I have grown so much professionally and personally just within the past few months since starting this job. What were your extracurricular activities at Mihaylo? Starting in my sophomore year and all the way up until graduation, I was heavily involved with Accounting Society and took on multiple leadership positions within that organization. In Accounting Society and Beta Alpha Psi, I participated in the mentoring programs and career development workshops every semester. Through these organizations, I was also able to help students who are or will be going through the recruitment process. Being in Accounting Society was pivotal to my career goals, because in my opinion, it was the best way to get exposure and to learn about the field in general. One of my fondest memories at CSUF was when I had just been elected executive vice president of Accounting Society. I worked with another student leader from Beta Alpha Psi to host our semi-annual joint board meeting between our two organizations, and it was one of the most gratifying moments in my college career. Just knowing we could lead the organization and give others the same experience as I had a few semesters back is really heartwarming. Besides being involved in student organizations, I also started working as a tutor at the Mihaylo College Tutoring Center in my junior year. Being able to work there was an incredible experience, and not just because I’ve made some of my closest friends there. It was also because I was able to meet so many other students and learn how to communicate, adapt and teach others. I feel like I’ve developed more empathy and patience during my time here too – a necessary skill for the professional world. Which faculty members helped you reach your career goals? Professors Glen Hatton and Randy Hoffman, who taught financial and managerial accounting, were instrumental in helping me realize that I really wanted to go into accounting. Their experiences and insights helped me gain an understanding of what becoming an auditor (or even a public accountant in general) entails. My cost accounting professor, Elisa Lee, is amazing in that she’s given me a lot of great advice about working in this field as well. Do you have any tips for a successful job interview? Definitely come into the room prepared and well-researched; you don’t want to give your interviewer the impression that you don’t care about the interview or don’t care enough about the company to look into the basics of the firm. I think the most important aspect of the interview, however, is to be yourself and be confident. It’s crucial to remember that an interview is a two-way street in that you’re also deciding if this company fits your needs and supports your goals. I remember talking to a professional and asking if she had any tips for a successful interview, and she said, “If I’m talking to them (the interviewee) and they’re nervous, how will I feel comfortable putting them in front of a client?” That piece of advice really changed the way I approached my interviews. Students in accounting at Mihaylo College have a wealth of resources to help them achieve their career goals. Between student clubs, like Accounting Society and Beta Alpha Psi as well as job fairs hosted by the Mihaylo Career Center, there is no shortage of resources for students looking to further their knowledge of the accounting field. For more information on the Mihaylo College accounting program, visit the Department of Accounting in SGMH 4313. Want to hear more from successful Mihaylo alumni on their “Careers in Accounting”? Check out our article to read about Lia Larasati ’17 and her journey to Pricewaterhouse Coopers.